In a growing portfolio of Premiership football clients, Leeds-based Cascade is implementing its fully integrated .NET system at Brighton – a move which will overhaul and improve the club’s off-the-pitch HR function. In the current business environment no organisation can stand still, not least a successful football club. We needed to invest in technology that encourages change, can support our evolution within the football league system and grow alongside us. With Cascade, it’s a huge step in helping us ensure we’re Premiership ready. As a club we need to be as savvy with our understanding of our people data as we are with our financial data. In just a few clicks, the HR team will be able to create sophisticated, point-in-time management reports. For example, a monthly absenteeism report will take them just two minutes to prepare rather than 40 minutes, and an average three hours can be saved when on in-depth monthly trend analyses as the automated functionality of the system will begin to identify and act upon its findings immediately. The system will undoubtedly support the running and management of ‘The Seagulls’ with the ambitions they have for both the club and the business this season and beyond. 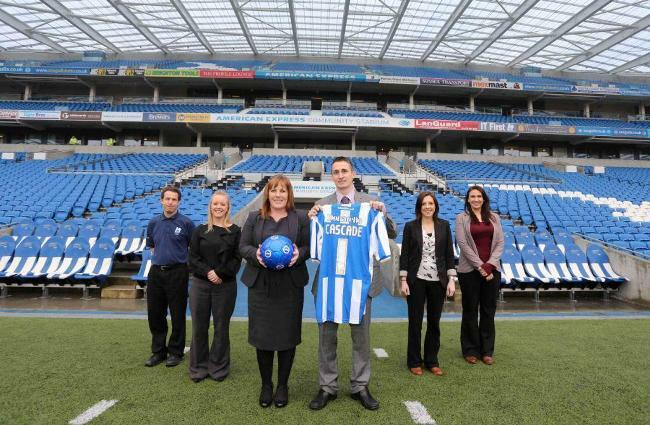 The Cascade team take to the pitch!